Oswego, NY – The music of one of the area’s most popular big bands will fill the air along West Linear Park as the Greater Oswego-Fulton Chamber of Commerce 2013 Summer Concert Series concludes with a live performance by The Do Good Swing Band on Aug. 20 from 7 to 9 p.m. on the Veterans’ Stage in downtown Oswego. 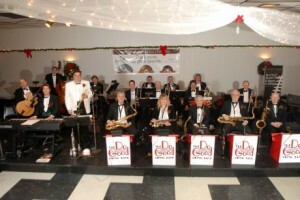 The Do Good Swing Band is a Big Band exactly like those made popular in the 1930s and ’40s. Please bring your own blankets or lawn chairs for the concert.